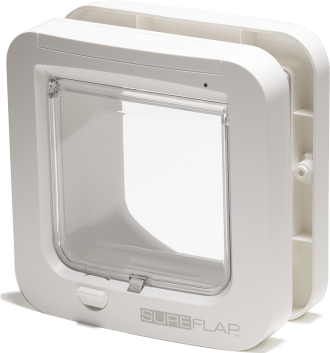 The SureFlap Microchip Cat Door identifies cats using their unique identification microchip, unlocking only for your pet and preventing strays and neighborhood cats from entering your home. This door is available with hefty price $149.99. If intruder kitties are worrying you then make this yours.